Rosabel Miró sent in the following report, along with these intriguing photographs. Yesterday [November 28], around 12:30 pm, close to the Miguel de La Borda town located in Donoso District, Colon, I took a picture of this booby. I think it was hurt because I was standing next to it and it didn't try to fly. 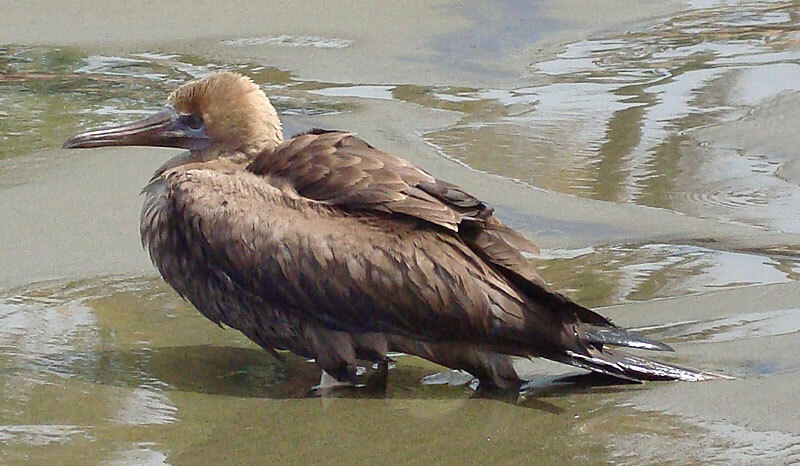 It looks to me like a Red-footed Booby but it doesn't have the red feet... Any idea what it could be? 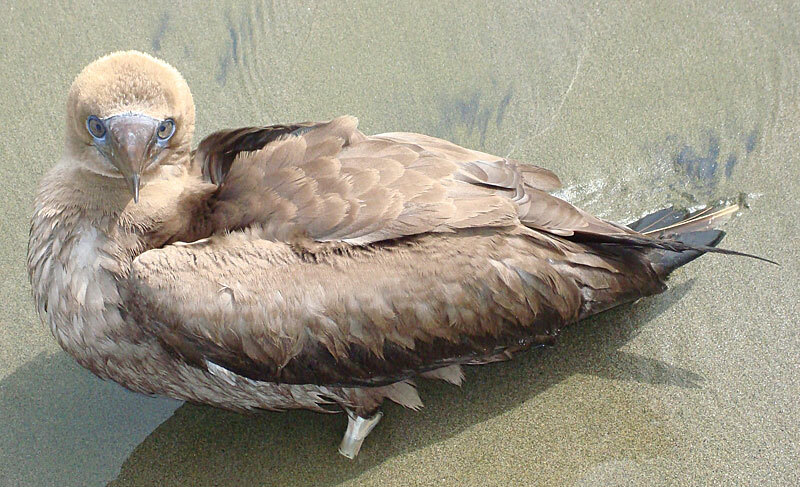 After careful scrutiny and consultation with at least two books on the subject, we agree with Rosabel's identification and are calling this a juvenile Red-footed Booby. Note the blue facial skin and, especially, the protruding crown and rounded head. 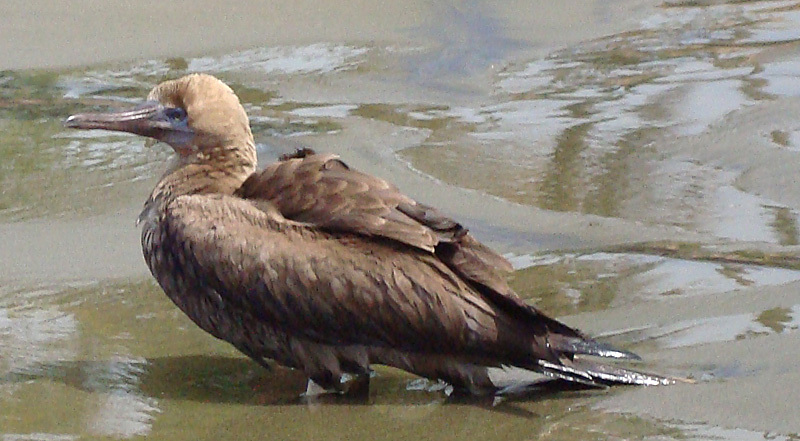 Red-footed Boobies are apparently regular at sea off the Caribbean coast, but are seldom seen from shore.